As he began studying scorpions in depth, Santibanez-Lopez came to learn that the scorpion family tree was a tangled mess. 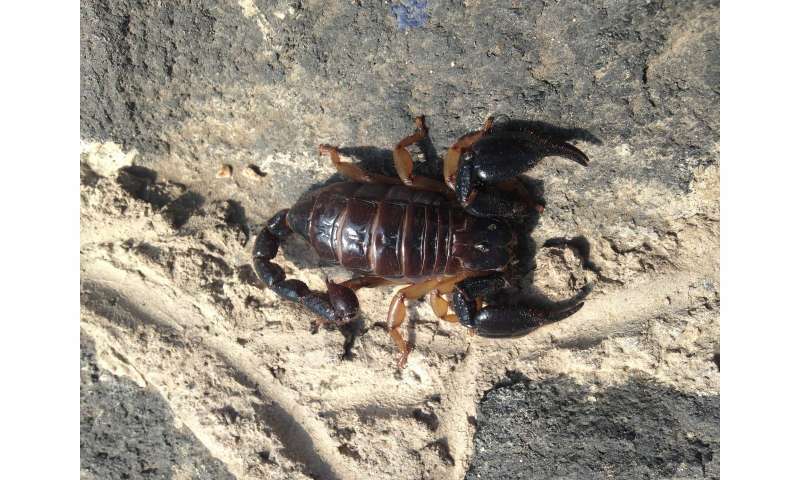 Scientists concentrated their work on a handful of species dangerous to humans, often neglecting the full diversity of some 2,400 species of scorpions. And the scorpions' remarkably similar body plans—normally the way to distinguish species from one another—muddled things further. The researchers also found that these venoms have changed extraordinarily little over the eons—some 300 million years of evolution. This conservatism is evidence that the venom's shape has been constrained by the consistency of molecular targets in their prey, where the venom disrupts nerve cells. Because the shape of the venom carries information about its function in prey, Santibanez-Lopez and Sharma believe similar approaches could help predict how much of a threat particular species pose to humans—which would beat Santibanez-Lopez painful, real-world experience separating the mild from the severe stings.